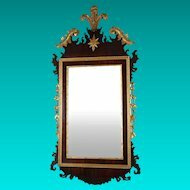 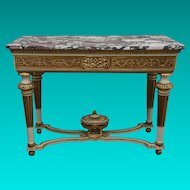 This piece made in an 18th century Georgian style was crafted in the late 19th century. 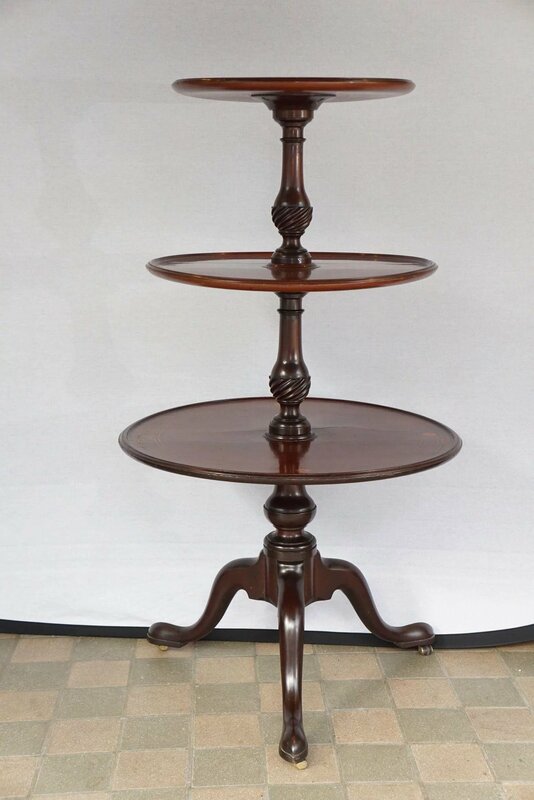 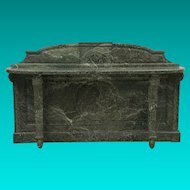 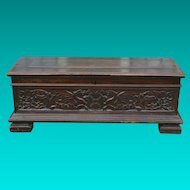 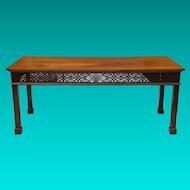 Made from mahogany then inlayed on each level with colored holly and natural boxwood stringing as well as rosewood banding on the top shelf. 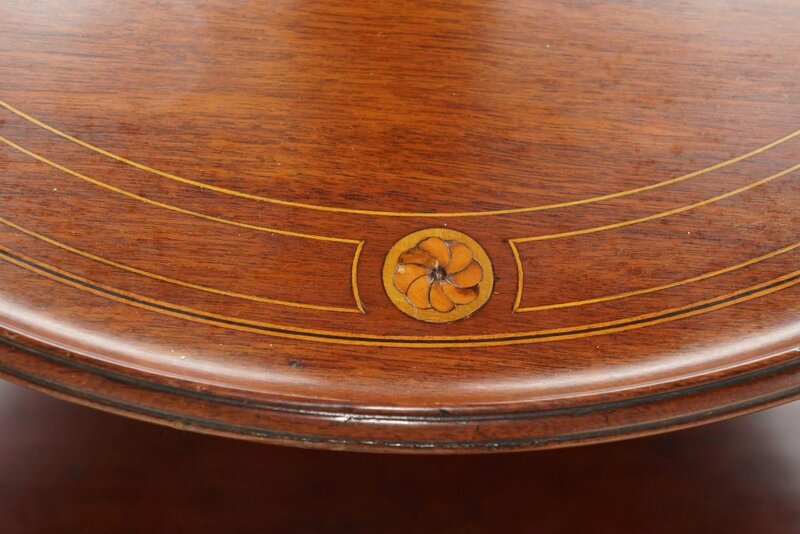 The inlays form floral patterns, leaves and flower heads. 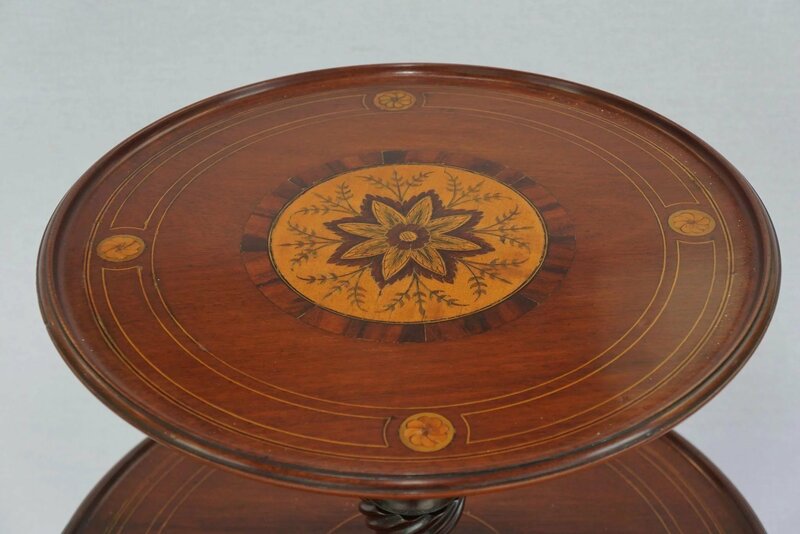 All the flower heads have sand burning creating depth and shadow with pen work additions. 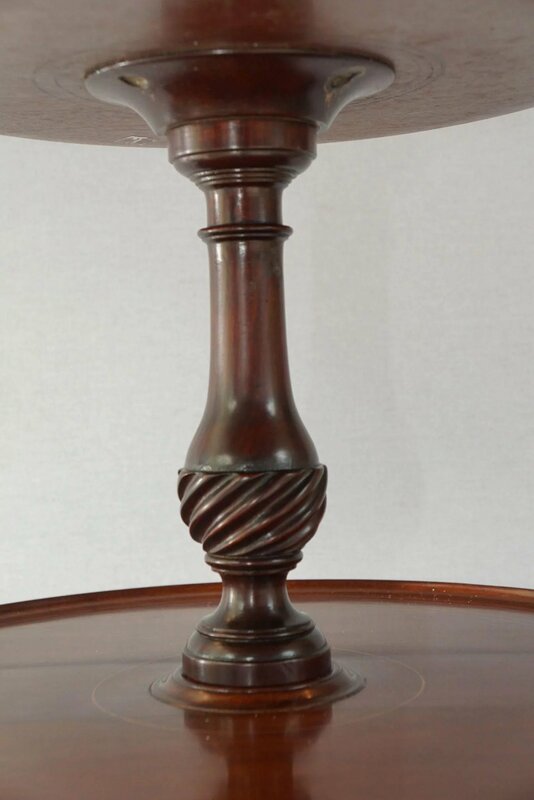 The leaf work is colored green and stands as a nice contrast to the wood tones. 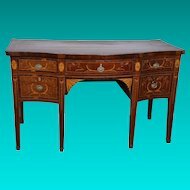 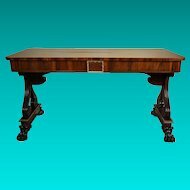 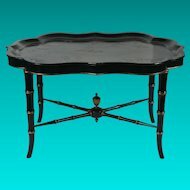 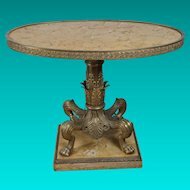 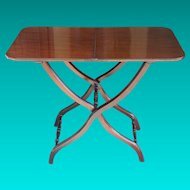 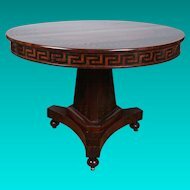 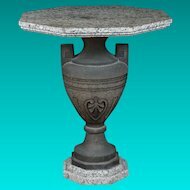 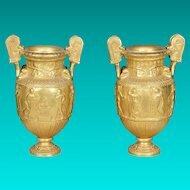 The table would have been used in its day as a display table for fine table top porcelains or small bronzes, flowers etc. 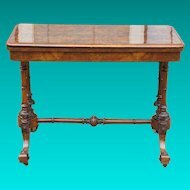 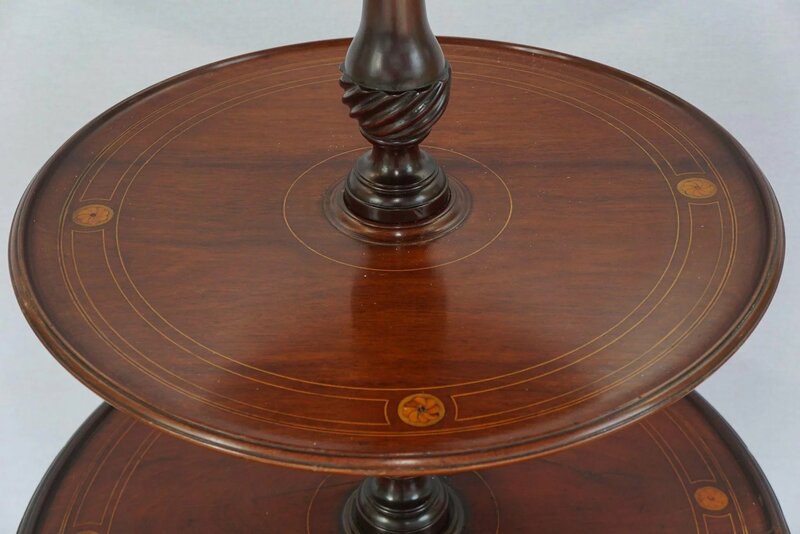 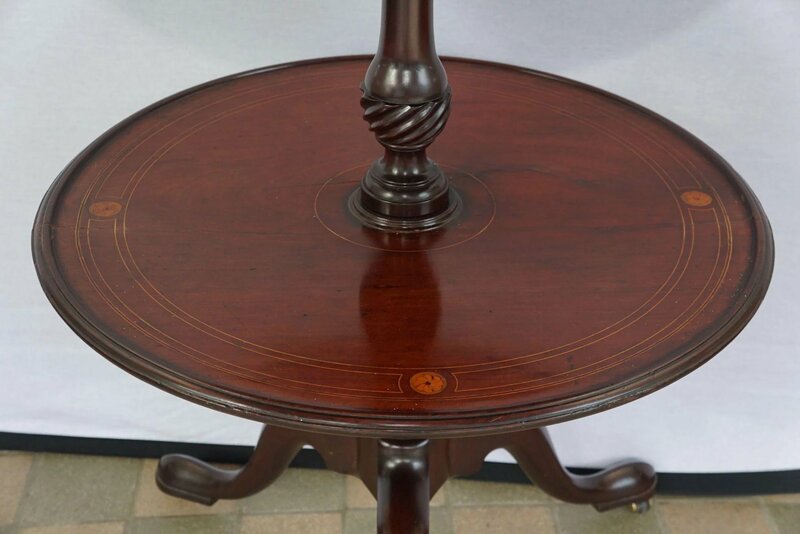 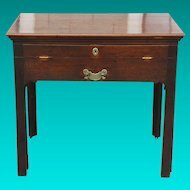 The table is in very good shape with a nice mellow old finish and has at one point been professionally repaired with a butterfly joint to the second tier showing that it was loved and honored in its original home. 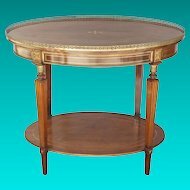 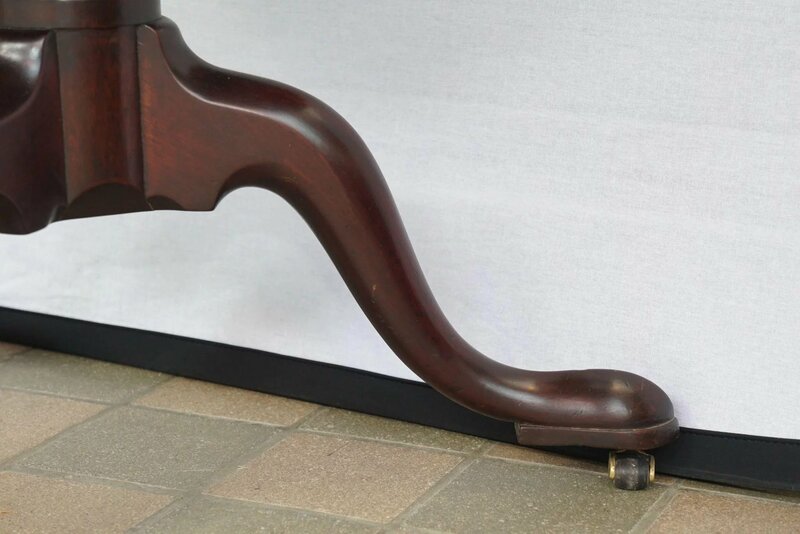 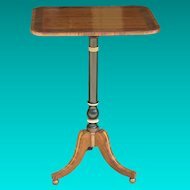 For transportation the table completely disassembles and compacts down to a small size and comes with nice solid brass original casters allowing it to be moved easily within the home.